I've mentioned before that being a big brother has been, unsurprisingly, quite an adjustment for Jona. Aaron and I both try to spend time with just him, and let him know that he is still special and very loved. Time means more than any present or treat we could give him, but sometimes it's fun to surprise him with something. This month I decided to spend my $10 at Target on little goodies for him. I didn't leave the $1 spot for this month's haul. 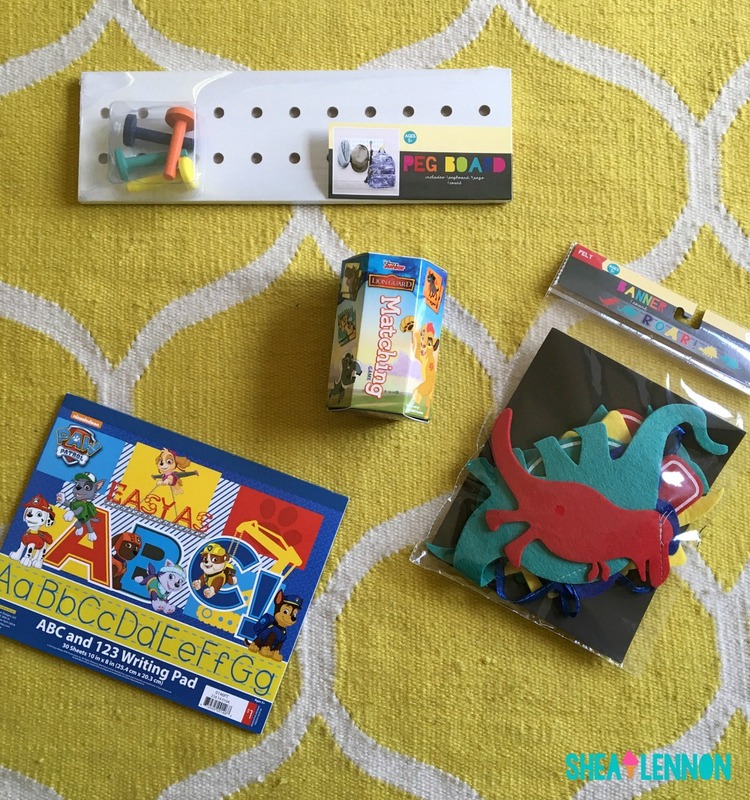 I picked up a couple of items for Jona's room, and a couple of items for the toy cabinet. One of Jona's favorite games is a Paw Patrol matching game he got for Christmas, so for $3 I couldn't pass up this Lion Guard version. For a buck I also grabbed some lined paper for coloring (or more likely, for stickers). Jona's poor room has been neglected since we moved to our current house, and while I hope to decorate it soon, I know it may be awhile, realistically. 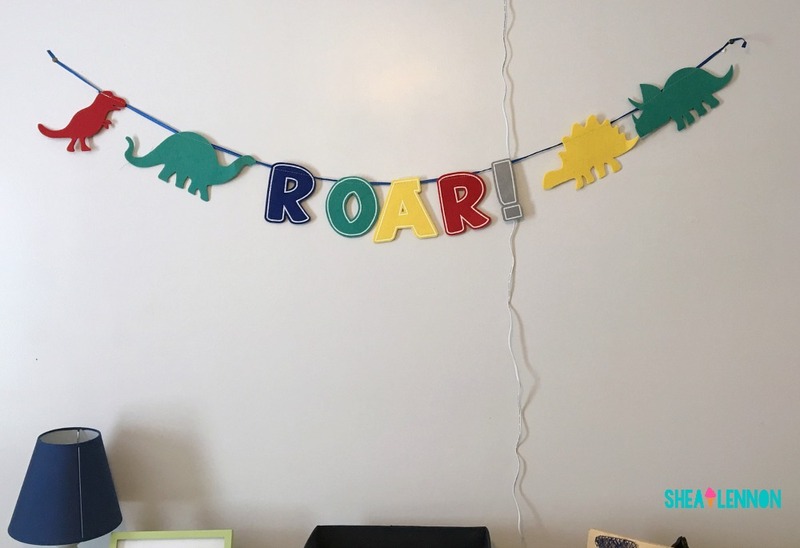 To get something on the wall I just bought this cute, colorful dinosaur banner ($3), which I knew he would love. 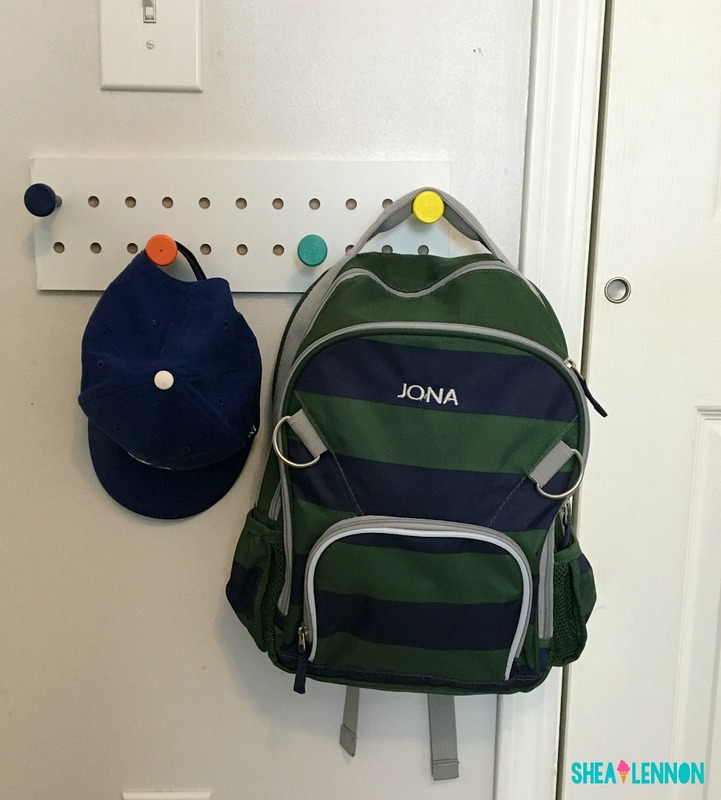 I also thought this little peg board would be perfect for hanging up his backpack, hat, and jacket. Not only does it look cute, but it will hopefully keep all that stuff off the floor or piled up on top of the dresser. It was just $3, what a steal! Total spent: $10 (not including tax). 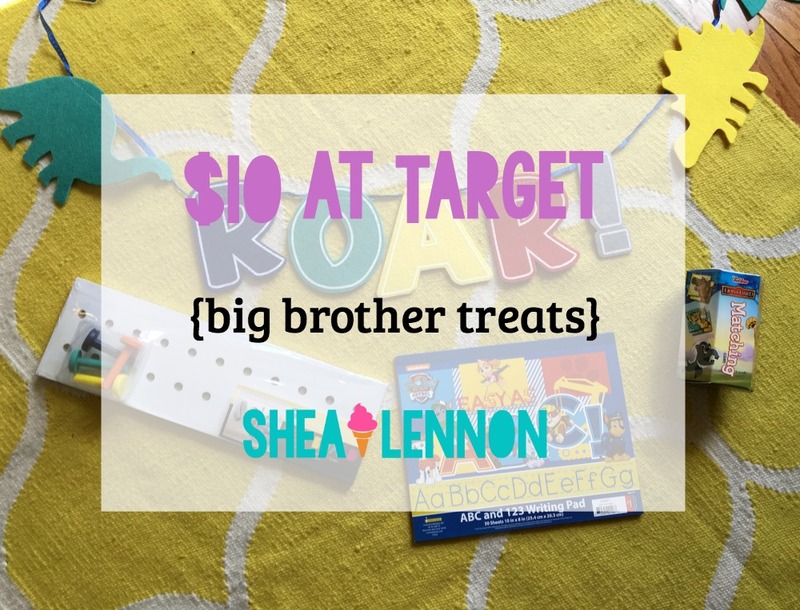 Linking up to Ten Dollars at Target.